Scott R. Jaffe is Of Counsel to BurgherGray, focusing his practice on structure finance and securitization transactions, including CDOs, CLOs, CMBS, RMBS and ASBS. Scott has over 20 years of experience representing Fortune 500 companies, issuers, investment banks, commercial banks, credit enhancers, insurers and rating agencies in a wide variety of transactions, including structured finance and securitization, secured lending, and federal securities law compliance. Mr. Jaffe also represents clients in connection with equity transactions, employment contracts and shareholder agreements as well as bankruptcy, and general corporate transactions. 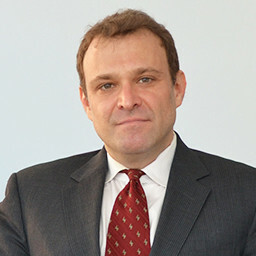 Prior to joining BurgherGray, Mr. Jaffe worked at Skadden, Arps, Slate, Meagher & Flom LLP (New York) for approximately 12 years, served as special counsel to Standard & Poor’s in connection with rating a diverse range of structured finance products, and, most recently, served as Counsel to DLA Piper US LLP (New York). Mr. Jaffe received a J.D. from Brooklyn Law School and a B.A. from The George Washington University. He is admitted to practice in the State of New York and is a member of the Association of the Bar of the City of New York and the New York State Bar Association.